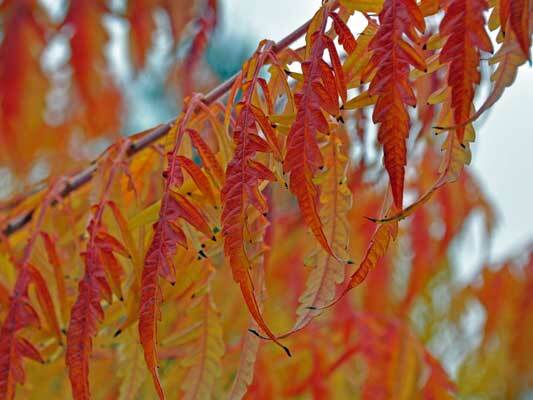 Sassafras (Sassafras albidum) can rival even sugar maples in the beauty of its fall display. 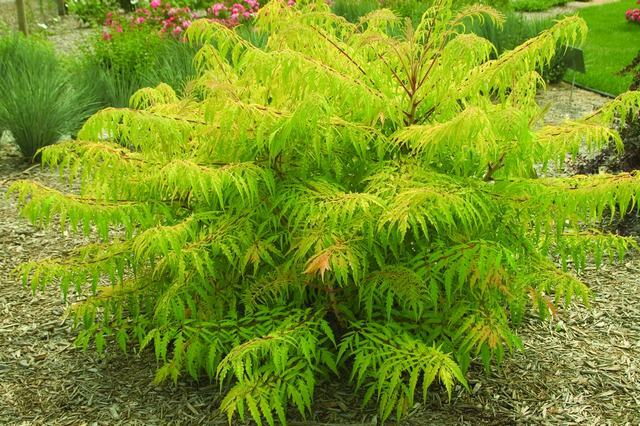 In the shade, the foliage becomes an intense golden yellow. 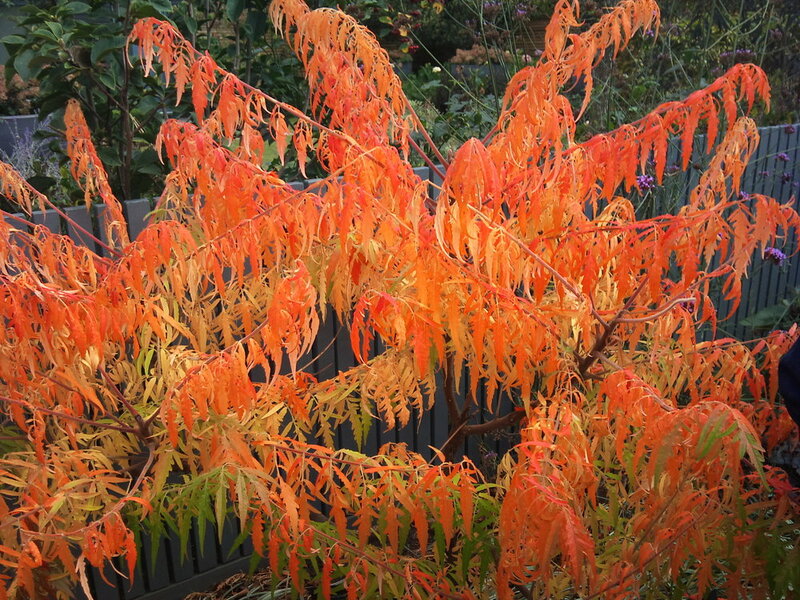 When the tree is in more sun, leaves become scarlet, orange, and maroon. 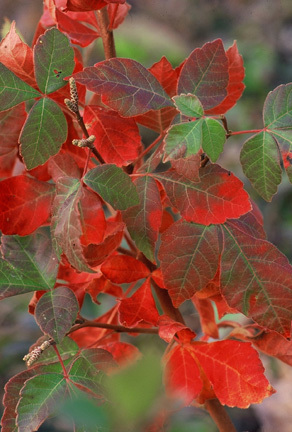 Sassafras is an opportunistic tree found commonly along unmanaged fence lines and power line right of ways where it can compete with larger trees. It sprouts readily from stumps and the sprouts grow rapidly, adding up to 3-4 feet in height each year for the first ten years. You may have never even seen sassafras flowers in early spring – but they’re a good nectar source for early pollinating insects.